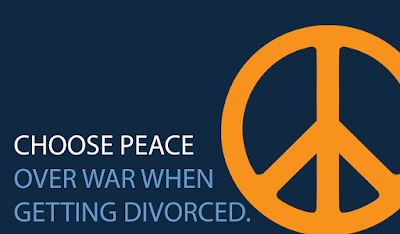 UPDATE: There is pending legislation for major changes to the alimony statute in Massachusetts. The Alimony Reform Act of 2011 was filed on January 18, 2011 and you can learn more about the Act at MassAlimonyFormula.com or in our recent blog post highlighting the differences between the bill and the current law. In addition to the Kelsey & Trask MOBILE web site at http://mobile.kelseytrask.com, our Massachusetts Child Support Calculator App, and our Means Test App, we are now offering the Divorce Spousal Support Calculator as an iPhone App. 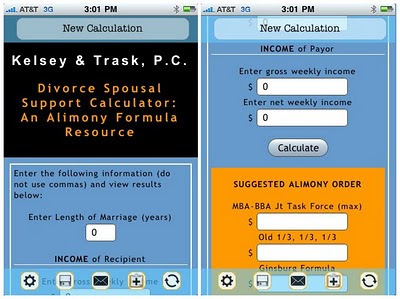 You can calculate alimony the same as in the full calculator located on our website, but you can also save your calculations, e-mail them, and view the accompanying Article. And the App is FREE! Don't worry Droid and Blackberry users, you can still use the mobile calculator in your web browser here. Should your Mediator draft Court Paperwork? How can I calculate Child Support AND Alimony?